LOVE OUR LOGO? Order some gear! 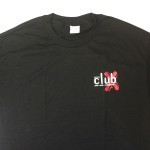 Contact the Club X Merchandise Coordinator at ClubXSDMal3@gmail.com with your size and quantity. The Board of Directors will work to get your shirt to an event you will attend so you can pay for it. We have logo t-shirts (unisex) and tank tops (female) in classic black. Sizes Sm to XXL. The cost is $15. 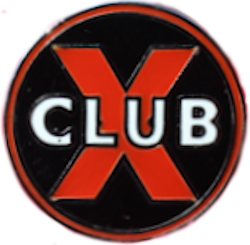 Club X patches attach to your shirt, bag or jacket! $5 each. 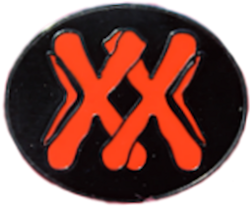 Club X pins, stick them everywhere! $5 each. 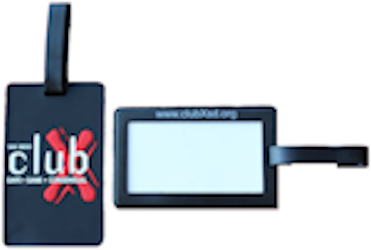 Know which bags are clearly yours with Club X luggage tags! $5 each.